« Top 15 Tips for Planning a Royal Wedding on a Pauper’s Budget! This post brought to you by DHgate.com. All opinions are 100% mine. Angry Birds is one of the most mainstream video games and THE largest mobile app success the world has seen so far, with over 100 million downloads. In this game, players use slingshots to launch wingless birds at pigs stationed at various structures on the playing field. The object, of course, is to rid the playing field of all the evil pigs. As you advance through the game, you are awarded with new and powerful birds which have special abilities. Angry Birds is a puzzle-based game that is offered for free or for a very low price on many different mobile platforms. I have yet to play it, mainly because I have heard how absolutely addicting it is! Angry Birds has become a smartphone phenomenon and now it couldn't be easier to proclaim your love of Angry Birds to the world. 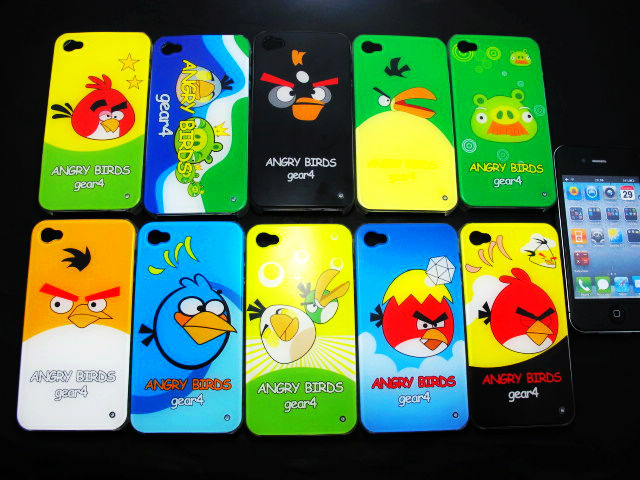 At DHgate.com, you can Buy Angry Birds Cases for iPhone/iTouch 4 for only $1. These hard, protective plastic cases come in 10 fun, cartoon-style designs. The hardest part is going to be picking just one for your iPhone 4 or iTouch 4. How can DHgate.com bring you such low prices? Well, it's because they are a wholesale marketplace that has the inside track to a wide variety of even More Cell Phone Accessories & Parts. Now you can have your Angry Birds fix anytime, anywhere!